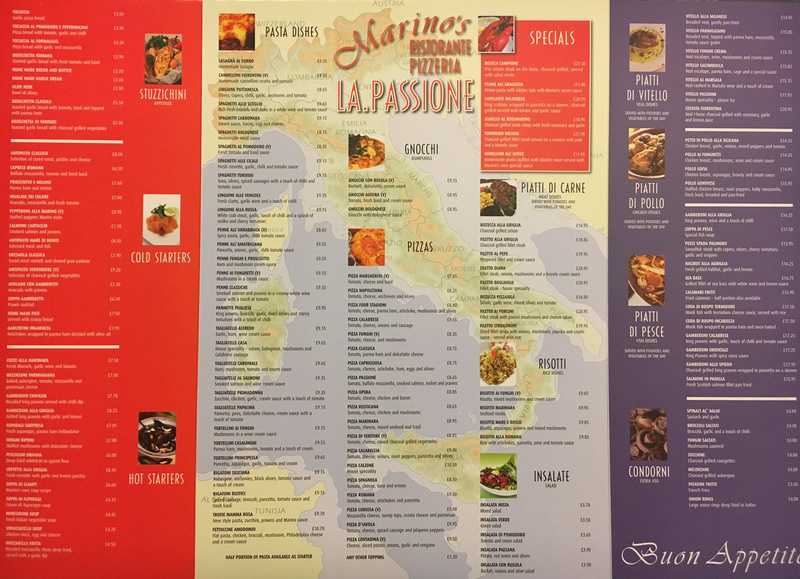 To discover our restaurant is also to discover a little region of Italy right here in Kirkcaldy, experience italian cuisine at its finest whether its an intimate meal for two or a party to celebrate something special Marino’s is the ideal location. Our italian chefs have more than 30 years of experience and serve a vast mouthwatering selection of both traditional and modern dishes using only the best ingredients imported directly from Italy. Combining the true flavours from the south with the traditional cooking methods of the north our chefs create authentic dishes that will not only meet but surpass your expectations. You may also like to accent the flavours with a glass of fine wine from our extensive selection. So what do we recommend? Well, everything of course!